When it comes to marketing, it can be so easy to get it all so wrong. The truth is, you can never assume that the way you market your product/service will suit everyone because it won’t! Different marketing appeals to various types of people depending on where they’re from, what they enjoy and even how old they are. Marketing to different age groups is one of the most difficult things to do. Sure, it’s difficult to market to all the other various categories of people, but age really is one of the hardest to do, because over the last fifty years or so, each generation has been different than the last. For example, the last three generations, Baby Boomers, Millennials, and Generation X (Gen-Xers) have all been incredibly different from the last. The only way to successfully market the same product/service to a variety of age groups, such as the three mentioned above, is to use a trick called customer segmentation. Customer Segmentation is the act of dividing your customers by the type of person they are; for example, what kind of spender they are. Are they a convenience spender, a brand buyer, a casual buyer and so on? Of course, this isn’t the only way to divide customers from different age groups, but it is a successful one. The worst thing you can do when it comes to marketing to various age groups- particularly the three primary groups mentioned above- is assume that because they are all from the same generation, they all shop in the same way and therefore the same marketing technique will work on them. However, it may surprise you to know that, actually, some Millennials respond to the same marketing techniques as Baby Boomers, or that some Gen-Xers enjoy the same marketing techniques as Millennials. You can never make an assumption about a group of customers just because they are the same age, and that is where the customer segmentation comes in handy- looking at buying habits is a far better way to see which marketing techniques will work for which people. Another mistake that should not be made is making the assumption that every member of each age group can be reached through marketing in exactly the same way. Never limit yourself to one type of marketing per age category- utilize all different marketing avenues in order to successfully reach the different age groups. So, what do you need to consider about Baby Boomers, Gen-Xers, and Millennials when you’re planning out how to market your product/service? When it comes to Baby Boomers, you must consider their age- they’re around 60-70 years old and so, stereotypically speaking, the best way to reach them is through ‘traditional’ marketing avenues, such as newspaper adverts, radio and television adverts and flyers.However, do not completely disregard digital advertising, as in the US alone, 43% of baby boomers own a smartphone, and 60% of them use the internet for online shopping purposes. With Facebook being one of the original social media platforms, its not very surprising to learn that almost all Baby Boomers have a Facebook account, and so adverts targeted to them via the Facebook website are advisable. Baby Boomers are the generation that has the largest quantities of disposable income in comparison to Gen-Xers and Millennials. Because of this, they are a little more free with their spending, particularly when it comes to swish techy products, such as new laptops and cameras, in order to try and keep up to date with the world and up to speed with the younger generations. This is definitely something worth remembering. Gen-Xers are far more superior in the world of technology than Baby Boomers are, only because they were growing up as technology began to advance. While they’re nowhere near as advanced at technology in comparison to Millennials, they’re still pretty up to speed, and this means there is plenty of room for digital marketing when it comes to them. 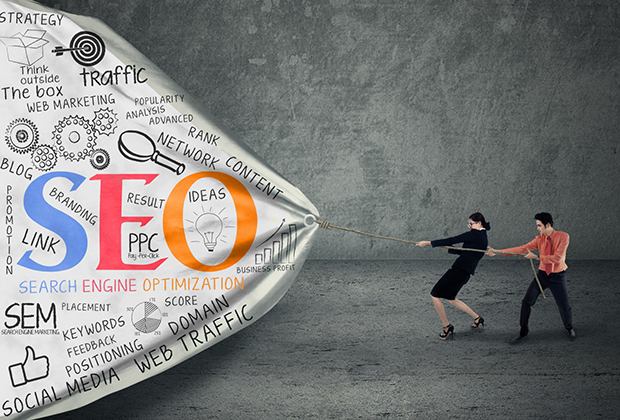 Video marketing, in particular, is an excellent avenue to choose. Most Gen-Xers are found to stream at least one video online per week, so opting to have an advert at the start of YouTube videos, for example would be very beneficial to you. Facebook and Twitter are also great ways to share campaigns and promotional posts that will reach the Gen-Xers, along with more traditional digital avenues such as emails. With almost every Gen-Xer owning a smartphone, emails can be sent directly to their pocket, targeting them at any given point in the day! Millennials are, of course, the most modern generation to market a product or service too. They’re the largest of all the three top generations and have never known the world without technology. They are, in some ways, more intelligent and advanced in the world than Gen-Xers and Baby Boomers will ever be. Almost every single Millennial uses the internet every day, with most of them using it for up to 25 hours per week, if not more. Millennials are also the only generation that are likely to have an account on almost every single social site going- Facebook, Twitter, Instagram, Tumblr, Pinterest, YouTube, Blogger, Flickr, Reddit, Vine, Snapchat and so on, making digital marketing the absolute best way to approach the generation. In addition to this knowledge, it is also important to remember that almost 70% of millennials buy a product or service because their friend, or someone they follow, has posted about it online. In order to successfully target Millennials, you must have an incredibly strong online presence that is relevant, interesting and up to date. Never forget that Millennials are so much more than just customers and consumers of goods and services; they’re content creators too. If they like what they receive, they’ll no doubt post about it online, influencing their friends and providing more sales for you. It is important to use this to your advantage. When it comes down to it, all three generations are very different, but they do have some gray areas where the lines merge, and the generations become one, making marketing techniques a little simpler to narrow down. Digital marketing is by far the most successful and it can definitely reach all three generations, although it will only ever be super successful for Millennials- and that is why it is important not to give up on traditional marketing tools too. Marketing can only be successful if you understand who you’re marketing to. Don’t assume that everyone is the same or can be approached the same, just because they’re from the same generation. Use customer segmentation, get to know who your consumers are and you’ll have far more success with your marketing. It really has not been a great few weeks for Samsung. First, their Galaxy Note 7 hit the headlines multiple times after being recalled due to their risk of exploding and catching fire, causing various injuries. Now, just weeks after that PR nightmare comes another; they are having to recall 2.8million of their top-load washing machines for eerily similar reasons. 34 of their top-load model washing machines have been recalled after well over 700 complaints by customers. It seems that the drums of these particular models may lose balance during a cycle, causing excessive vibrations leading the top to separate from the main washing machine, rather violently. This has already caused at least nine injuries, including a shoulder injury and a broken jaw! Some customers have compared the malfunction to an “explosion” and claimed that it has damaged their homes when it has combusted. 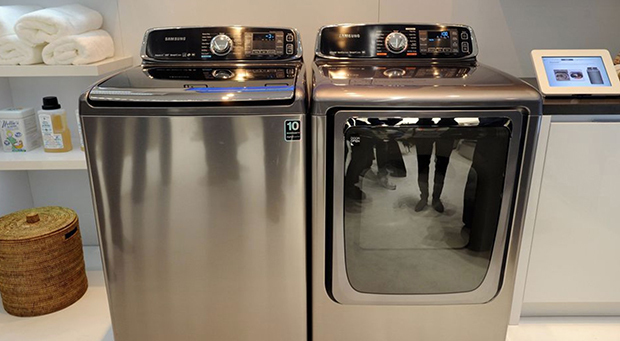 Earlier this year, two customers filed a lawsuit against Samsung when their washing machines blew up – one, belonging to Michelle Soto Fielder, exploded with such power that it made a significant dent in the wall of her garage, pushing through to the living room on the adjoining wall! Luckily no one was in the path of the machine as it could have been catastrophic! Another example of the issue comes from Melissa Thaxton who’s Samsung washing machine exploded terrifyingly loud right in front of her and her young son. The two screamed, understandably, thinking that the sound was a bomb. Thankfully, neither were injured, but of course very shaken. This particular problem is said to arise when the machine is put on a high-speed spin cycle with items such as bedding, water resistant clothing and anything that could be considered quite bulky. The weight of these things, with the loose machine top, seems to cause the explosion which has frightened and injured a fair few people. There was a similar recall, back in 2013 in Australia, when 150,000 Samsung washing machines were recalled due to a high risk of fire. These were, again, top loader machines, manufactured between 2010-2013, so it seems that Samsung has not had a lot of luck with these machines over the past few years. These washers have been sold between March 2011 and November 2016, costing between $450 – $1,500, at various home appliance stores, including The Home Depot, Sears and Best Buy. There are 34 models, which you can check on the Samsung website including WA422PRHDWR/AA, WA50F9A6DSW/A2, WA50K8600AV/A2 and WA45H7000AW/A2. What are your options if you have one of these faulty washers? Samsung is offering several different actions for those affected, dependant on the age of the machine and various other factors. If you bought the washing machine, new, in the last 30 days, you are able to request a full refund from Samsung, although this may take a little while to process. There is also the option for a free in-home repair service to strengthen the top of the machine and a one-year warranty extension, regardless of your current warranty. If you don’t tend to wash bedding, or bulky items, or feel that there is much of a risk and are otherwise happy with your machine, this is a simple option. You are also eligible to request a replacement. This will involve a cash rebate from Samsung, redeemable against the cost of any new washing machine, regardless of manufacturer. This also includes free installation of your new machine and a free removal of the old model. Although this is available to redeem on any make and model of washing machine, Samsung is offering an extra added bonus, up to the sum of $150 for anyone who chooses their own brand again as a loyalty incentive. Of course, this is all likely to be quite a lengthy process, with so many machines to recall, and so there are some precautions to allow you to use your washing machine safely, in the meantime. Samsung and the Consumer Product Safety Commission are advising owners of the affected washing machines to avoid the cycles that have been shown to cause a problem. If you are needing to wash bedding, bulky items or anything water-resistant, anyone with the recalled machines is being told to use the delicate or waterproof cycle to minimize the risk. Anyone who is known to have one of the washing machines on the list of those affected will be automatically sent a set of labels in the mail. These kits will consist of two warning labels for the washing machine (and instructions on their application) and a new guide for the control panel. These should help to keep the washers running safely until they can be fixed or replaced. Thankfully, these incidents have been rare, and Samsung has reacted quickly. If you follow the instructions given, the risks should be minimal, while you wait for either a replacement or for an engineer to come and fix the issue. If you have bought a Samsung, top loader washing machine between March 2011 and November 2016, be sure to check whether the product code is listed as affected, and act accordingly. When an appliance is in your home, it is best not to risk it, especially so close to Christmas! Let’s hope that things settle down a little for Samsung and that they have more luck with their products over the next few months! Social media is unavoidable nowadays, and it is used for a variety of different reasons; from catching up on gossip with your friends to posting invites to social events and nights out with the girls to reconnecting with people you’d lost touch with. In fact, just last week I was sent a wedding invite over Facebook messenger from an old friend who lives on the other side of the country. This pal and I were inseparable in our teens, but going to university had caused us both to go our own separate ways, and it was only through the power of Facebook years later that we got back in touch. Being the distant friend that I was, I used Social Media to catch up with her, but I admit that I hadn’t seen any postings on her Facebook page about her relationship with her partner. In fact, I didn’t even know she was in a relationship until I received the wedding invite. And this got me thinking about Social Media, and whether it was right to post nothing about your relationship online. I recalled reading somewhere that those who don’t post about their relationship online are genuinely stronger and I thought about my own relationship. My partner and I very rarely post stuff on Social Media about each other, and even then, it is only to either congratulate each other on an achievement or complain that the other person is being unreasonable because they’ve not ‘insert chore here.’ My guy and I have been together for over 12 years. So maybe there is something in this not posting online lark. You wouldn’t stand in the street and shout out the fact that you and your partner have just had an argument about the washing up, so why would you do it online? Even more evidence in favor is an acquaintance of mine – we’ll call her Rosie – who posts every intimate detail of her relationships on Facebook. And in the short time I’ve known her, there have been a few. Whether bemoaning how selfish her fellas are to just dissing men in general, it’s normal to see at least one post a day where she is criticizing the current man in her life. And that can’t be a good thing. If my partner and I have something big that annoys us, we discuss it in person. Posting to social media removes that option and leads to a chance of the problem being repeated and ill-feelings festering. It also gives you a lack of privacy in your relationship and opens you up to those nosy people who are likely to stick their nose into your relationship. This not only introduces someone else into your partnership with their own viewpoints and opinions but also opens you up to rumors and gossip once you’ve allowed people a public forum to discuss your issues. And bolstered by the relative safety of speaking online, there will always be those people who may publicly attack your partner because of your complaint, causing potentially huge issues in the long term. For some people posting every little thing about your relationship can be a way of proving to yourself that everything is good in your relationship. And we can generally spot those types of posters a mile away. They’re your friends in your social feed that post a cute picture of their partner sleeping, or one with them and their other half grinning maniacally as they hug a teddy one bought for the other. The efforts of these people are usually rewarded with likes and comments, and this gives them the validation they need and the cycle continues and the natural high from dopamine that courses through our bodies when we feel loved. We’re all guilty of doing this, so don’t feel bad if you have done it in the past, just know that communication is key and will improve the situation. Research from the Happiness Research Institute in Denmark has shown that those who avoid using social media to prove they are happy are happier too, leading some to question the benefits of using social media at all. The institute conducted experiments with 1,095 people and found that 94% of them used Facebook, with 78% of them using it for more than 30 minutes a day. They stopped half of the group using Facebook, and the other half could use it as normal. After a week, the data revealed that the group that didn’t use Facebook reported a much higher level of satisfaction. Certainly food for thought. When it comes to communication, you’ve probably been out somewhere eating a meal or sitting in a bar and have spotted a couple sitting on their mobile phones updating their Facebook status on what a great evening they’re having while not communicating with each other. What happens in this situation is similar to the photo situation above. Not living in the moment but feeling a need to show how great their relationship is to others not only stunts the communication between the couple but also seeks to gain validation from those outside of the relationship. It’s nice to post pictures of the fun you and your partner are having on social media, but make sure it is exactly that. Keep the communication going and make sure to spend time with your significant other instead of updating your status online to nurture and grow a solid relationship full of mutual respect and security. Ensuring the balance between your social media life and real-life has a healthy balance can pave the way to a long-term relationship filled with many happy moments. In 1916 the first ever tank was used on the battlefield by the English Army against Germany during World War 1. The tank was designed to be a weapon capable of breaking the enemy trenches, crushing the barbed wire and making the crossing into No Man’s land, whilst destroying anything in the way. Whilst these tanks were incredibly dangerous, slow, cumbersome machines when they were used against other tanks, the tanks of today have undergone a total transformation and sport thicker, larger and more powerful engines. This in itself resulted in an arms race as each nation wanted to produce a better and more sophisticated model. The competition mainly took on changes to the tanks characteristics such as protection, mobility and the fire ability. Today’s tanks are far more complex weapons as a result of the high technology sensors and communication that they are equipped with. The tanks also sport advanced armour and major engine improvements. It is for these reasons that the tank has become such an integral part of the arms export market with the Americans and Russians amassing a combined income of $56 million from their dealings. When the Soviet collapsed the tank factory in Kharlov was left to Ukraine, however as they wanted to develop their own tanks, the Ukraine started with modifications to the T-80 designs and this then became the T-84 Oplot-M which was most suitable for their needs. In the same way as the Soviet styled tanks this tank was armed with a 125mm smoothbore gun and also anti-tank missiles which are laser guided. With the assistance of a ballistics computer and thermal and panoramic imaging sights the gun can find and hit targets accurately and also has an autoloader that takes about 8 seconds per round has an advanced reactive armour and a countermeasure system. Whilst the early Chinese tanks were inferior when compared to the American and Russian offerings their newer modified tanks show far superior levels of sophistication. The Type 99 is a really good example of the modern tanks and built by NORINCO, the tank came into service in 2001 and there was an even further advanced A2 deployed in 2009. This latest offering has more advanced armour that is complete with advanced explosive reactor armour modules, heavy battle management and digitized controls similar to those of the Russian tanks and they are also fully equipped with an active protection that can detect and defeat advancing missiles. The AMX – 56 Leclerc entered the French army in 1992, and there are still about 400 Leclerc tanks in service and a further 350 being used on the United Arab Emirates. The tank has an extremely fast autoloader that can load 12 rounds for the 120mm smooth bore gun in just a minute. The fire control system is completely digital and has the capability for the operator to pick six targets and the tank can then be engaged in under thirty seconds. The tank thermal sights and laser range finders and thermal can identify the enemy from more than 4km away and the armour on the latest models is complete with missile and laser warning, explosive reactive armour, infrared decoys, and tungsten/titanium modules. Apparently the British Challenger 2 is the most protected tank thanks to the Dorchester’ armour, which is a combination of ceramic and an array of other metals. The Challenger 2 came into service in 1998 and has an armour that is so strong that it has stood the test of time after having been bombarded by rocket propelled grenades when in combat in Iraq. Equipped with a 120mm rifle gun that provides a very high accuracy rate and also explosive reactive armour modules. The tank is also complete with an information system that is British made and fire control computer made in Canada that assists the crew so that they can use the gun and tank to the best possible advantage. 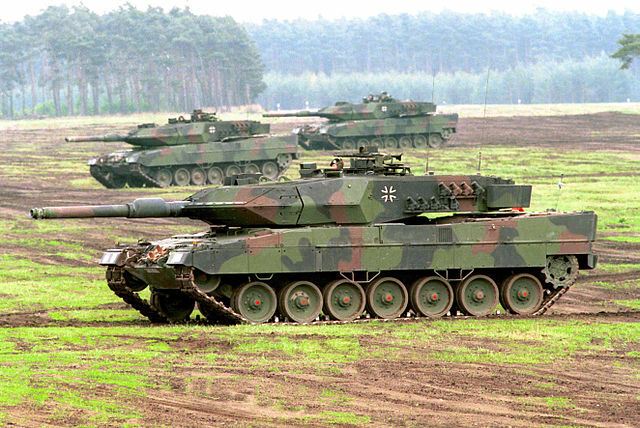 The Leopard 2A7+ entered German service in 1979, and it has been upgraded continually to provide what is now a really good all round weapon. The current Leopard 2A7+ is far superior to the original and is complete with 120mm smooth bore gun which can fire a number of different forms of ammunition which includes the LAHAT guided missile. The tank is capable of hitting a moving target of up to 5km thanks to the stabilization of the gun and the excellent laser range finder. The tank also has enhanced thermal and daylight sites plus combined information and command system. It is not surprising that if you plan to earn $100K you will have studied major that would have had most people running in the other direction! Many students have goals and aspirations in difficult areas and as hard as these may seem many students already have one of the steps that they need to overcome to succeed. It could be that you just want to get an idea of majors to avoid or you may be genuinely curious. No matter what your reasons the following will provide you with an insight into the most challenging and daunting majors, but those that will give you the necessary qualifications to earn $100k. Whilst architecture does not sound that bad there is far more to designing buildings than producing drawings and making the scaled models. Students that are interested in architecture must complete coursework that includes advanced physics and calculus combined with building preservation, restoration, history and architectural styling. Architecture has the most homework, after all it takes a lot of time to design buildings that will be attractive, cost effective, safe and energy efficient. It is also important that architects have good people skills as they have to work alongside numerous professionals throughout design and construction phases. Those studying architecture have to achieve a grade average of 3.32, an average of 24.5 hours of school work, and should be aware that the number of available jobs in this field where earnings realize $100k currently stands at 1! The field of engineering technologies has always been thought of as daunting however it is highly profitable. The general engineering field highlights theory and the concepts with a major that focuses on applying scientific knowledge to real time issues and problems. Those majoring in engineering take coursework that covers scientific and mathematical areas as well as specializing in areas that include civil contexts, computer contexts and biomedical. 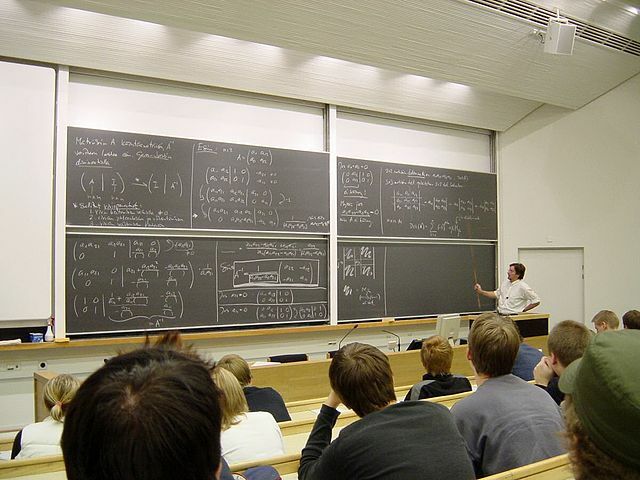 Due to the complex and highly technical subject matter that is covered by engineering technologies, the programs have the lowest grade point averages amongst most majors, but rank in the middle in terms of time that the student is expected to put into their coursework independently of the classroom. The grade points average of graduates stands at 3.06, with about 15 hours needed to complete the schoolwork. Currently there are just four jobs available in this field with a salary of $100k. There are a number of colleges that count history as a social science and other that put history in a broader field that is covered by humanities. However, no matter how history is categorized history is a broad and compelling subject to study, and one that sees students understanding individuals and past events using historical information. Whilst history does not immediately have a specific career it doesn’t mean that the degree is not valuable in terms of professional investment, as there are a number of lucrative professions that the student can pursue including a judge or lawyer. The grade point average stands at 3.19 with students having to put in just over 16 hours of schoolwork per week and currently there is just one job available in this field paying $100k. Students that choose natural resources and conservation as their major will learn how we can face and overcome many environmental challenges and protect the plants, animals and their habitats. Topics covered include balancing water requirements in agriculture, manufacture and drinking along with marine and marsh habitats and the water that they require. Students are also expected to study forestry and the impact of various fuel types on the environment and many other relevant topics. One of the main reasons that this is such a challenging and daunting major is that it is very heavily science based and also incorporates chemistry, biology and engineering. This combined with the fact that although solutions may have been determined the social and political constraints are making the implementation impossible. The grade points average for natural resources stands at 3.06, with the average hours of schoolwork equating to about 16, currently there is just one job available offering $100k. Transportation and all of the jobs that fall within the remit of material moving operations are vital to the world’s economy. Although the Bureau of Labor Statistics recently reported the average wage in this category stood at $30,000 a year, the occupations such as pilots and air traffic controllers have salaries in the $100k bracket. These jobs require the applicant to have a knowledge of weather, aviation plus a host of other topics and also psychological tests that determine how well the individual would cope with high pressure and issues that need immediate resolution. The grade points average stands at 3.36 and students have to spend an average of 17 hours in the classroom and further hours to complete the homework. Currently there are two positions offered with a salary of $100k. Originally the terror cell that was used on the attacks in Brussels and Paris this year was actually planning the Euro 2016 football championships to be held in France this summer as its target. According to a report by Libération a French newspaper, Mohamed Abrini, told the Belgian investigators when he was arrested on Friday, that the Islamist group never intended to target Brussels. The group had intended for another attack to be made on France to follow on from the suicide bombings and shootings that left 130 people dead and hundreds more injured in November. The paper reported that in accordance with information that they had been supplied, Abrini said that they were planning to attack again during the Euro football tournament. The tournament will be taking place in 10 cities across France in June and July with the opening match and final being due to be held at the Stade de France in Paris, which was also the target of the November attacks. The claim was no surprise to the French police who confirmed that it stood to reason that the terrorists would want to attack Euro 2016 and security forces were examining possible attack scenarios so that they could know exactly how to respond in this type of situation. Abrini went on to tell detective that the masterminds behind the attacks had feared that the police were getting to close after Salah Abdeslam had been arrested and at that point was considered to be the last surviving terrorist. Three days after his arrest when reports suggested that Abdeslam was helping the police, the targets were switched and saw the staged coordinated attacks on Brussels airport and the metro system, which claimed the lives of another 32 people. There have been clear links found by investigators between the cell behind the Brussels attacks and the group that had prepared and carried out November’s attacks in Paris. Both of which were claimed by Isis. Belgian prosecutors have recently reported that Abrini, 31, was a prime suspect in the Paris attacks and had also confessed to being the other bomber at Brussels airport. Abrini has been nicknamed the man in the hat from the CCTV footage that was available showing him leaving a large bag full of explosives in the airport before fleeing on foot. Abrini had been on the run from police before the Brussels bombings, as he had been since he was identified on CCTV as a major suspect being the driver of the Renault Clio that was used by the gunmen in the Paris attacks. Four days prior to the bombings taking place the police arrested Abdeslam, Europe’s most wanted man after being on the run for four months. It is thought that Abdeslam had rented two cars that were involved in the Paris attacks using his real name as well as using it to book the hotel rooms that the attackers used. He had travelled to Paris with his childhood friend Abrini, and it is believed that they drove together to drop off the three suicide bombers that blew themselves up in the Stade de France. Abdeslam, was said to have been found hiding out in Molenbeek in Brussels, just a few streets from where his parent lived. The days prior to his arrest saw police arrive with the intention of searching a flat that they thought was empty in Brussels only to be met with gunfire from behind the door. One of the police sniper’s shot dead Mohamed Belkaïd, one of the gunmen who was a 35-year-old Algerian living illegally in Belgium. According to Thierry Werts, from the Belgian federal prosecutor’s office they found a Kalashnikov, a book on Salafism and an Islamic State flag next to his body. They also found the fingerprints of Abdeslam in the flat. Khalid el-Bakraoui, 27, blew himself up on the Brussels metro soon after Ibrahim his elder brother had detonated his suicide vest at Brussels airport, was suspected of being involved in the logistics of the Paris attacks. He had used a false name to rent an apartment in the Forest area where police raided and he was also believed to have rented a safe house in the southern area of Belgium city. 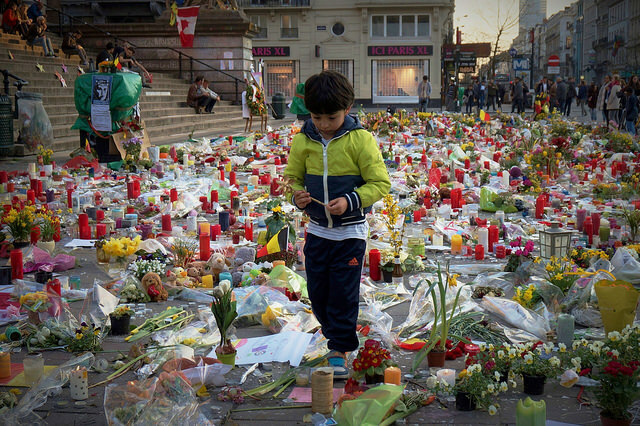 Najim Laachraoui, 24, grew up in Brussels, and blew himself up at the airport attack. He was a suspected Islamic State recruiter and bomb-maker, and his DNA was found on two of the explosives belts that were used in the Paris attacks. Days after the Brussels attacks the French president, reported that those behind the attacks were no longer but he was quick to add that other networks existed and were still a threat. In accordance with some of the Defense Department money men it could be possible for the Pentagon to close a number of the military bases, however the agency has pleaded with Congress to review the potential closures as carefully as possible. This is not the first time that the military bases have been threatened with closures, as this has been a topic of debate and ended up with nothing actually happening. It is due to the current budget conditions that it may be carried through this time, and there is also new data that supports the idea. This time round there is a distinct feeling that it is really possible that the proposed closures may become reality sometime soon. This is the first time where the defense officials have requested that this type of review is undertaken after just a year from the last reviews where the past has seen the requests fall upon deaf ears. The main reason for this is that the law makers are incredibly concerned that this process could target military systems and equipment in their own districts, which in turn would cause a negative impact on them as leaders and on their own personal interests. Apart from this, there is still a lot of misunderstanding and uncertainty about whether these military bases are surplus to requirements or if thinking about their finances could compound their security. In spite of all of this the plans to push for a review is moving forward. A complete re-evaluation of the military bases has been a main aim and goal for many years and the studies that the department has conducted has generally resulted in findings of about 25% and in some cases even more infrastructure that is surplus to actual requirements in the majority of the mission areas. This was the information that Michael McCord, the Pentagon Comptroller announced when speaking at a recent event held at the Centre for Strategic and International Studies, based in Washington. The main argument put forward by Michael McCord was that the cost for keeping the bases was far higher than it needed to be, and by keeping staff in military bases that are outdated was simply a waste of resources that in comparison to the cost of maintaining the bases is substantially more than the department needs. The closure of any military bases is bound to be a sensitive issue, particularly when many of the local economies rely heavily on them, and currently it is not yet known how many bases could be affected. However, statistics show that if the closures were approved the potential savings could total about $5.5 billion savings per year and a net saving of just under $50 billion over the next 20 years. 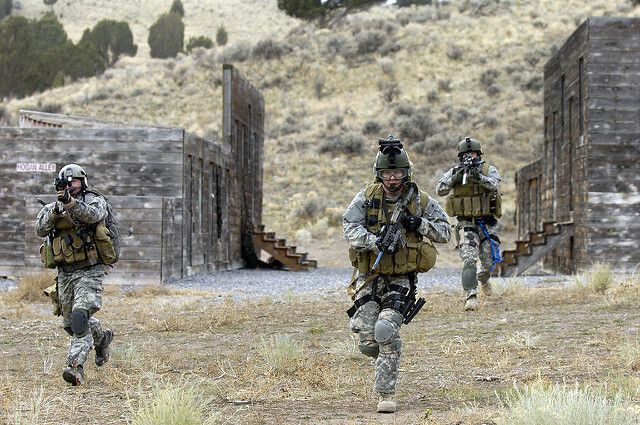 It is reported that these base closures would not mean a reduction in the size or capabilities of the American forces. It has been confirmed that the military would stay at its current size with the same capabilities it would literally just be a reduction to the actual number of bases. If you have found yourself stuck in an airport due to a delayed or cancelled flight you will no doubt have experienced a serious case of boredom. There is nothing worse than sitting clock watching for hour upon hour. Don’t despair though as there is hope in the form of some airports that have made the effort to keep your suffering to a bare minimum. Here are just a few of them. As Australia’s second busiest, Melbourne Airport served over 30 million passengers for the first time in 2013. The airport opened in 1970, and has served the city of Melbourne ever since and has won many accolades in recent years including one for the best airport hotel in Australia. R Tambo International is a major airport which is located in South Africa, Johannesburg. The airport serves more than 30 million passengers a year it is the biggest African airport and situated about 1,700 meters above sea level. Sydney Airport is the oldest commercial international airport in the entire world and it is also the busiest seeing over 35 million passengers in 2014. The international terminal was renovated in 2010 costing over $500 million and there are plans to build a second Sydney airport in the near future. This Airport is one of the biggest in Southeast Asia and Malaysia’s largest and busiest. In 2014 it serviced 50 million passengers and is ranked as in the top 20 busiest airports for passenger travel. The airport cost $3.5 billion to build and there is plans to expand the airport further in the future. Vancouver International airport was built in 1930, and is one of the busiest airports in Canada. The airport has won numerous awards over the years and it is noted for its unique structure and architecture which includes an art collection. Ever since the city was host to the 2010 Winter Olympics it has increased in popularity. Beijing Capital International Airport has the second biggest airport terminal in the world and since 2010 it has been the second busiest in terms of the number of passengers that have travelled through it. The airport boasts a food area and over 70 stores where the prices are said to be the same as in the center of Beijing. Amsterdam Schiphol Airport is the perfect place for those who plan on leaving the airport with more money than they had when they arrived. Not only is the Amsterdam Schiphol the fifth busiest airport in the world, it sports a casino for travelers who are feeling particularly lucky. If the bustle of the casino is too much for you the airport also sports a library that is free for passengers to use. London Heathrow is a major international airport and as such it experiences the most air traffic in Europe. In terms of passengers it comes in as the third busiest worldwide and it is also reported to be the best airport for shopping. The main terminal alone offers more than 100 shops and restaurants, so it may not be so bad being delayed here. The central Japan international airport is situated on an artificial island that is set just off of the Japanese cost. The airport is also referred to as the Chubu Centrair International Airport. The airport opened in 2005 and is considered to be one of the finest airports in the world. The real highlight of this airport has to be the Sky Town Shopping Center which offers dozens of restaurants and shops. 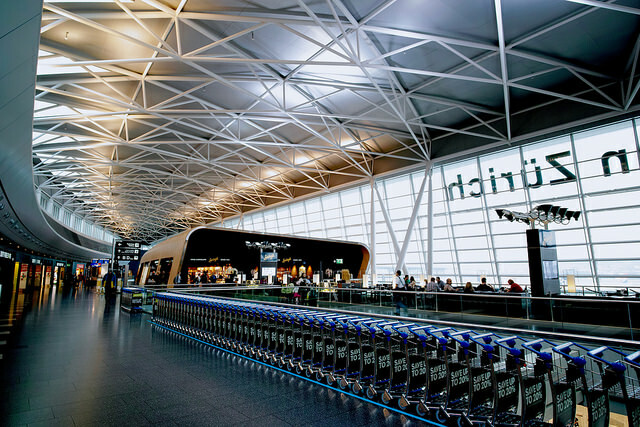 Zurich airport is the 12th busiest in Europe and serves over 20 million passengers every year. The airport has won many awards over the years as well as being voted as the best European airport in the World Travel Awards. There is a complex called the Circle which is currently being developed and will be home to a variety of shops, restaurants and hotels. Munich Airport is the best in the west and it is easy to see why. The airport is particularly popular with beer lovers as it has its own brewery and produces seven different beers too. However, that is not all as the airport sports a flight simulator and also places that can be rented by the hour and include a bed, Wi-Fi and TV, just remember when you have to be delayed this is the perfect place to be! In accordance with the Californian law, all new builds must designate at least 15% of their rooftops which benefit from the sun to solar products, San Francisco are now requiring the buildings to actually make use of solar panels. These new rules mean that San Francisco will be the first city in America to make it law to have the solar panels on new constructions. 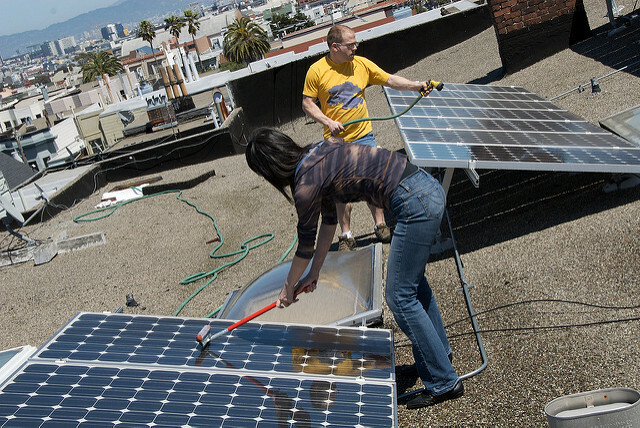 By increasing their use of solar power San Francisco once again become the leaders for the nation in the fight to reduce reliance on fossil fuels and climate change. Supervisor Scott Weiner, put the legislation forward explaining that by activating and maximising unused roof space was an efficient and smart way to promote the use of solar energy whilst also improving the environment. The new rules are set to become effective as of January 1st, 2017 after which all construction that takes place will fall under the new state laws. In the case of a developer not wanting to add solar panels, there is a backup plan, this being that people can install a roof top garden on the top of the building instead. 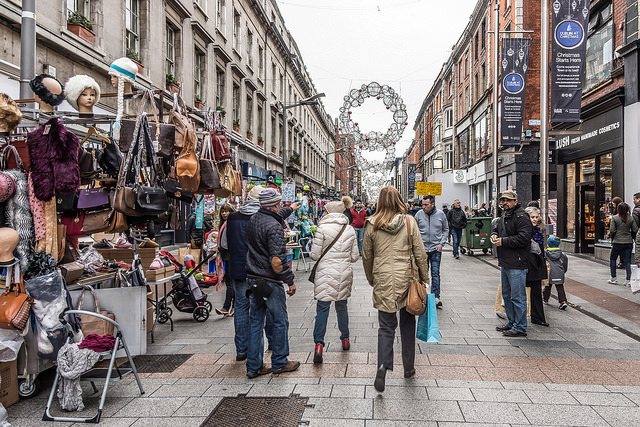 If you are in the mood to go shopping while you’re away, High Street in Dublin is the perfect place to go. Prices there for the same products will be cheaper than London, since Ireland is on the Euro. Also sales at the Penney’s Department Store happen regularly.